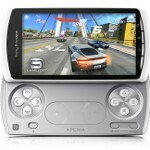 Sony Ericsson Xperia PLAY to grace Verizon in May? It's now an officially confirmed information that the Sony Ericsson Xperia PLAY (you can read our hands-on here) will be a Verizon-branded handset, and now we may have its projected launch date, which is stated as "3 months" from now. As we told you, the Sony Ericsson Xperia PLAY is touted for a March 29 release - and this report was verified by the announcement that an Xperia PLAY-only dock (DK300) is to be launched simultaneously with the handset. As the DK300 is to be available "from March in selected markets", it's safe to assume that we will see the device previously known as the "PlayStation Phone" in March. This, however, is not to say that the Sony Ericsson handset is going to be launched in March in all parts of the world, and now the official site of the Swedish-Japanese joint venture is giving us a subtle hint that we may expect the Sony Ericsson Xperia PLAY in either April or May, as the site states that the phone is "coming in 3 months". Is this a proof the Sony Ericsson Xperia PLAY is coming to Verizon in 3 months time or is it just a wishful thinking? Tell us with your comments. i heard april, but may seems right. really anytime before june when presumably the bionic and ip5 will come out is fine. Ugh I hate waiting.. I need a new Verizon phone and I dont want anything currently out. I love the iPhone but wont get it due to the new one should be coming out soon.. I really want this phone, but I am impatient! Personally I think this is a tad bit ridiculous.. The design of the phone is ill fitting to the the smart phone "look", and with the slide out "control pad" the phone could only be unreasonably thick. What is the point of having a Playstation Phone? How about we try and get a life? all the good phones are going to comeout till later march or till june why take so long in getting them out when your saying cuz us as customers want tobe satisfied with what we want.